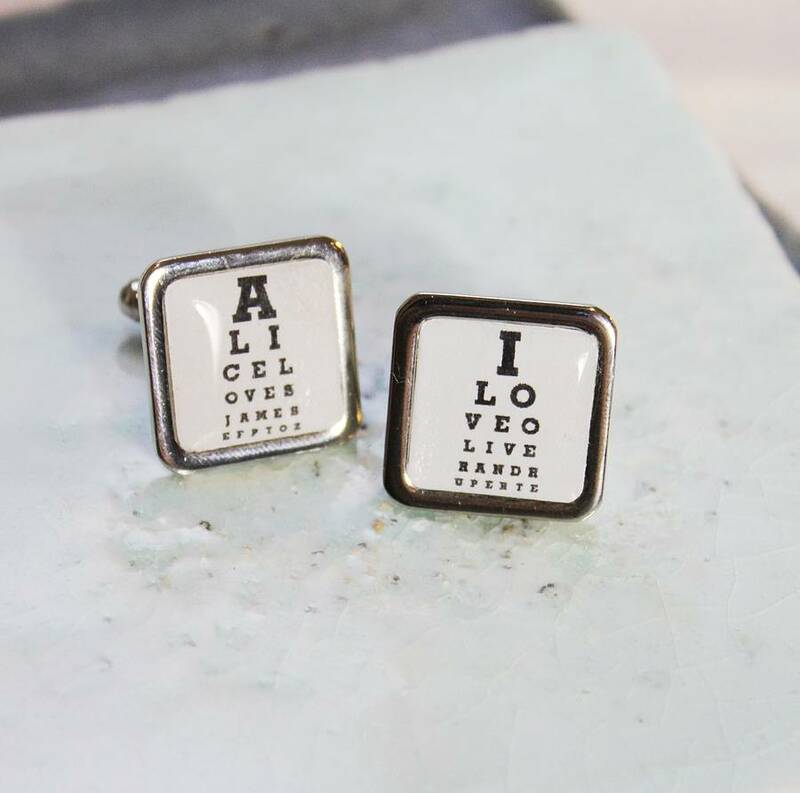 These fun and personalised cufflinks give you the chance to hide a message within an eye test chart. Each single cufflink can be personalised with up to 21 characters allowing you to have a different message on each one. 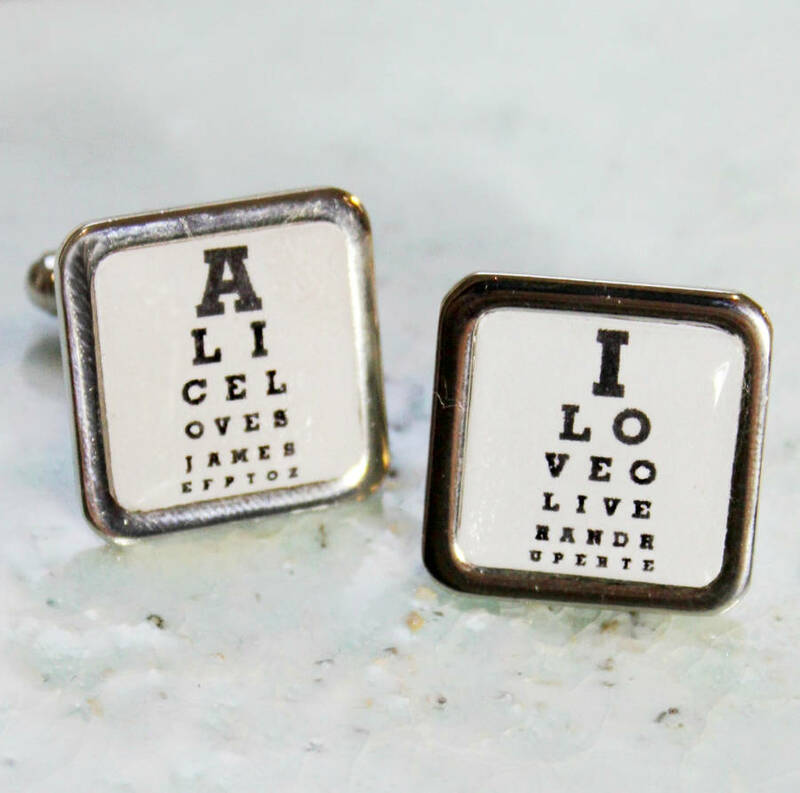 You might choose a favourite quote or message to a loved one. Or, you could put the names of your little ones. Please note that the letters are stacked in a pyramid style: as such the top line has 1 letter, the second line has 2 letters, the third line has 3 letters and so on... Each personalisation must reach the end of a line, if your text does not reach then random letters will be added to the end of your personalisation until it has reached the end of that line.